High mountain passes, treacherous roads and rugged terrain pump a traveller full of adrenaline so he can go all out! People from across the world visit India just to experience this rush or "high" if you will, while traversing the narrow snow-covered roads and waist-deep water crossings. 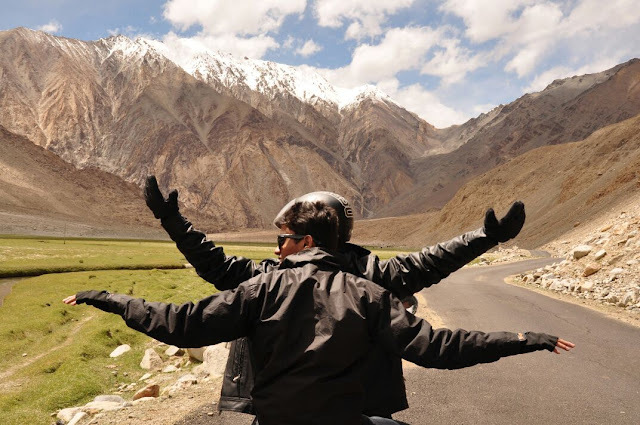 The entire stretch of about 895 km from Manali in Himachal Pradesh to Srinagar in Jammu & Kashmir via Leh as well as the neighbouring Nubra Valley and the scenic lakes (Pangong Tso and Tso Moriri) is where all the road trip plans come to fruition. Why tour the region by road? Well, there are NO other options in Ladakh! Seems rather disconcerting right? No need to fret because despite the insurmountable beauty of destinations, the journey is the most appeasing aspect of the trip. Some people prefer flying to Leh and then proceeding with the road trip to neighbouring locations but, and I say this from personal experience, that is quite dull. 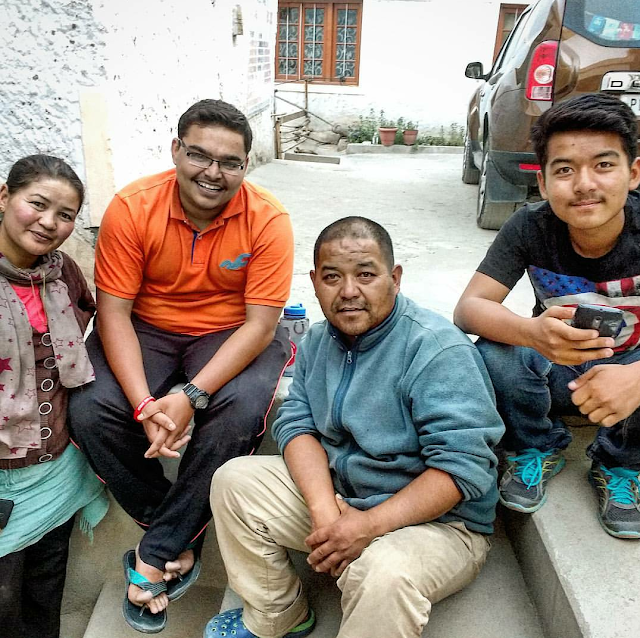 Instead arriving in Leh from Manali or Srinagar after overcoming multiple hardships en route means you have achieved your long standing travel goal of completing a road trip. The “true adventure” part in any road trip to Ladakh comes to life on the Manali-Leh highway. Nature awaits a traveller on this route to challenge each and every aspect of his life; tumultuous situations, panic, harsh and extreme weather, control over himself and his vehicle. If the rugged roads aren’t a challenge enough to make you think twice before venturing on this road, then you will definitely get the euphoric feeling you desire. 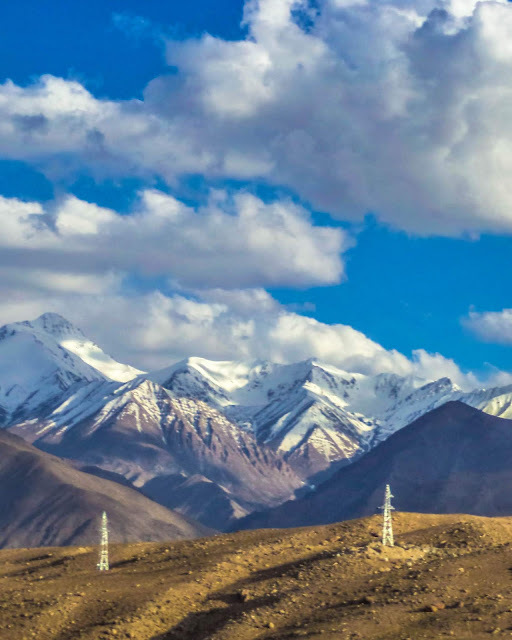 The 5 colossal mountain passes: Rohtang La (3978 m) being the lowest, Baralacha La, Nakee La, Lachulung La and Tanglang La (5328 m) being the highest are like moderators who conduct extensive tests on you before granting you entry into the city of Leh. I have seen highly skilled and experienced drivers, as well as riders get intimidated and flustered on these roads. Riding through the wide-spread More Plains was really tempting for me because it was the first straight and properly paved patch of road since we had left Manali. But, exceeding 65-70 kmph in this region can be an unnecessary and potentially fatal risk. Furthermore, the continually varying altitude takes a massive toll on every traveller although, some acclimate rapidly without being affected as compared to others. I fall in the former category but many of my fellow riders weren’t as lucky and experienced severe medical distress (headaches/nausea/vomiting/dizziness/vertigo) due to Altitude sickness. The Silk route that you studied about in school (Ok. Heard about. LOL!) Isn’t just a myth, it actually exists and passes right through the Nubra Valley in Ladakh. To get here, one has to traverse the infamous gargantuan Khardung La. Every traveller plans his entire Ladakh road trip with Khardung La pass as the foundation. While approaching the top of the pass from Leh, the elevation almost increases at a stupefying 55 metres per kilometre. To add to this adversity, nature introduces obstacles like black ice, waist-deep water crossings, knee-deep mud and the sun shining at its full intensity. Even though it was quite easy for me, riding a bike while your feet are freezing due to the fresh ice-cold water in your shoes is terribly cumbersome and annoying. 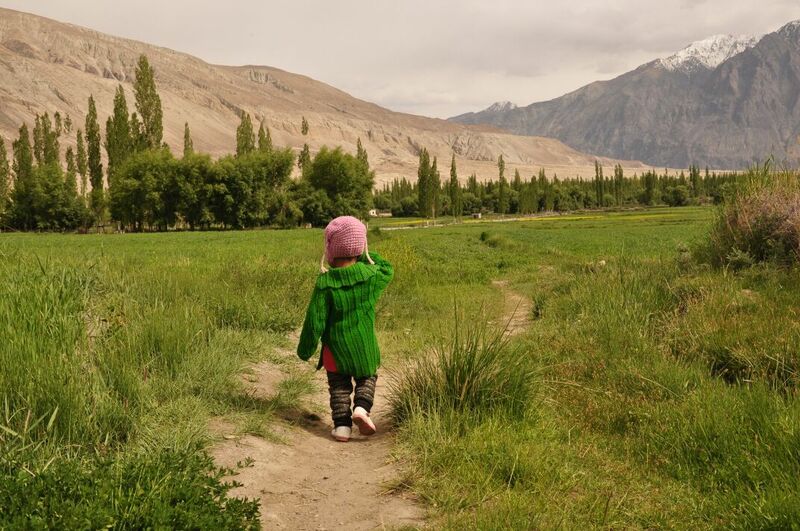 This tiny package of happiness and energy was roaming in the fields in Turtuk, Nubra Valley. Camels and a desert amidst snow-capped mountains. That's nature for you! Know one thing, even if you are riding solo to Ladakh, you are never alone. No matter the situation, a flat tyre or leaking oil, a worn off brake pad or just exhaustion from riding, even partying together after a long day of treacherous terrain, fellow bike riders you meet on the road will happily join you and turn you into one of them. Here, nationality, colour, race and religion everything is superficial. The only thing that matters to anyone is the journey and the experience of manoeuvring a bike up in the mountains. Cheering after reaching Pangong Tso. What’s the best season to experience Ladakh by road? Tell me they have Wi-Fi! Can I use mobile internet or at least make calls? 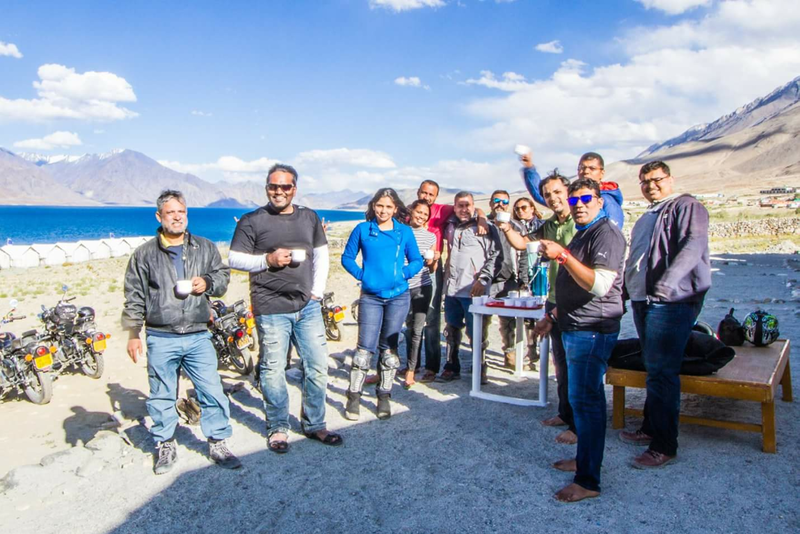 How do I ride up to Ladakh? My Stay at Otsal Guesthouse/Home-stay was amazing! This family is incredible! Bonding with your Homestay hosts and other guests over riding experiences, camping in tents, falling off the bike due to black ice, star gazing at the Milky Way at night by the Pangong Lake, playing with the ecstatic marmots, travelling on the actual ancient Silk Route and meeting the rare double-humped Bactrian camels of Nubra valley; all this is the gist of a visit to Ladakh. 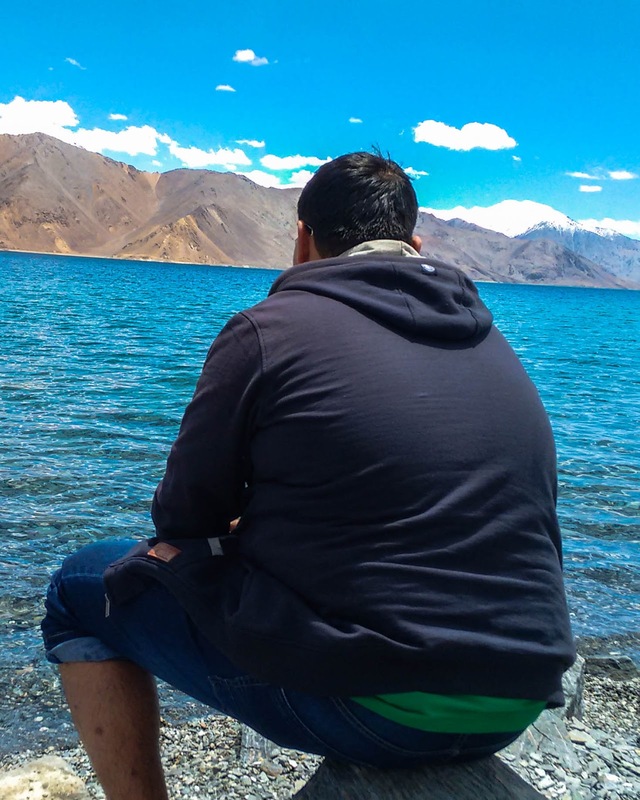 Just sitting by the Pangong Tso immersed in the tranquillity! How was your road trip to Ladakh and how memorable was it? Fantastic post. I loved it. Traveling is always fun. It is a great experience. I love traveling by road. Traveling to Ladakh by road would be adventurous. but it will give a lot of memories. I love traveling. And I love travel blogs. It is always a pleasure to visit this Site. Keep it up the work. And keep sharing more blogs like this. Thanks for sharing this one.